Super thanks to Zoe who brought this back for me from her trip to America! 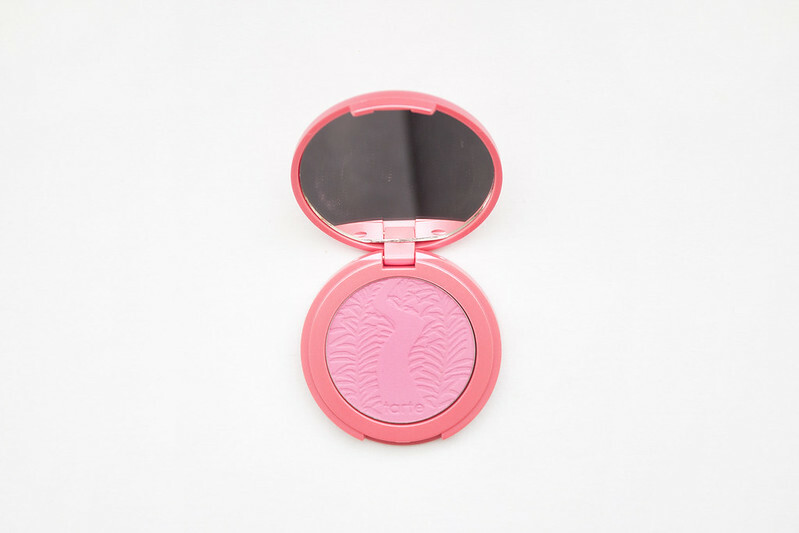 The Tarte Amazonian Clay 12-Hour Blushers are made from Amazonian clay and baked by the sun, producing a vivid, fade-free, flawless finish that minimizes oil and hydrates the skin. 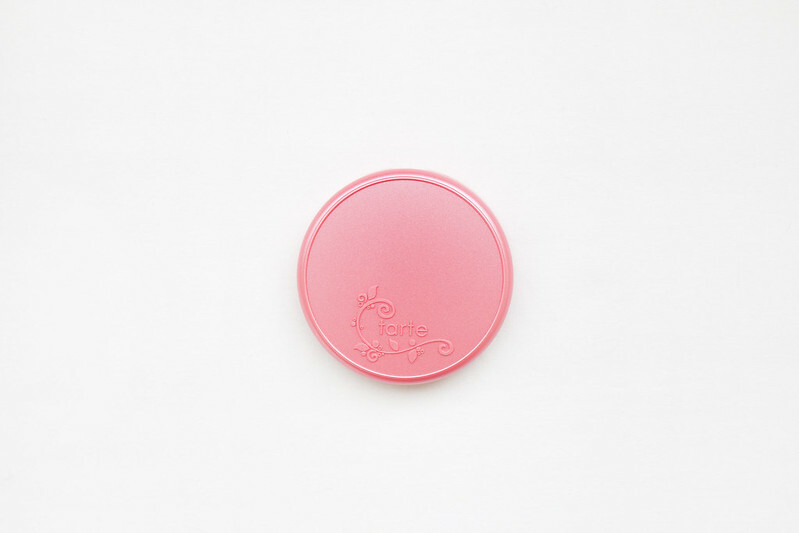 Dollface is the lightest pink blusher available and as the name suggests I was expecting it to be more of a baby pink rather than the bright, almost hot pink colour it turned out to be. Initially Dollface appears vibrantly pink on the cheeks, requiring a light hand and a lot of buffing to produce a softer, more natural finish on paler skin tones. On darker complexions I feel Dollface would be more true to its name by producing a softer, gentler appearance. The pigmentation is outstanding, a swipe across the blusher picks up plenty of product and the vibrancy of colour means very little is required; an almost matte finish is produced with a hint of glow given to the cheeks. The wear time is significantly shortened by how much it's buffed in and the blush noticeably fades after around seven hours. Totally forgivable considering the quality, pigmentation, and finish it provides. Despite the initial disappointment of Tarte Dollface not being the baby pink I was expecting, I haven't been able to convince myself to wear any other blusher since receiving this. If you get the chance I'd thoroughly recommend trying Tarte products. I'm starting to realize how good these blushers are. I only have Exposed (at I can't deny the fact that I haven't used it in yonks), but Tipsy is definitely calling my name. I love the sound of these blushes, I love this shade ! I need to try tarte products, cannot wait to go to the US!